"Birthdays are meant to be celebrated with flair! After all, it isn’t every day that a fellow turns 270 years old! On Sunday, March 24th between 1:00 and 4:00pm, you are invited to join in the birthday festivities as the Ingersoll Cheese & Agricultural Museum hosts Thomas Ingersoll Day. The founder and namesake of our community was born on March 24, 1749 in Great Barrington, Massachusetts. He came to Upper Canada and was given a land grant of 66,000 acres by Lieutenant-Governor John Graves Simcoe along with the task of settling a group of some 40 families in a raw forest tract near the Thames River. This he did in 1793 by establishing Oxford-on-the-Thames, the community that would later be renamed in his given a land grant of 66,000 acres by Lieutenant-Governor John Graves Simcoe along with the task of settling a group of some 40 families in a raw forest tract near the Thames River. This he did in 1793 by establishing Oxford-on-the-Thames, the community that would later be renamed in his honour. Join us as we celebrate the birth of our community’s founder with outdoor and indoor games, a presentation about Thomas' life and times by Professor George Emery at 2pm, story time with Miss Gail at 3:00 pm, and cake! What would a birthday be without cake? Don’t miss the official birthday celebration at 2:30 where you can enjoy a piece of cake from The Olde Bakery Café. 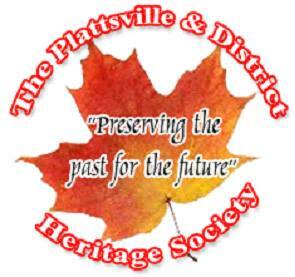 Wednesday April 10, 2018 - 11:00 a.m.
"For those interested in nature, especially bird watching, should come hear guest speaker, Richard Skevington, present on the History of Birding. As a long-time bird watching enthusiast and blogger, Richard can provide insight into the history of birding and his own experiences." 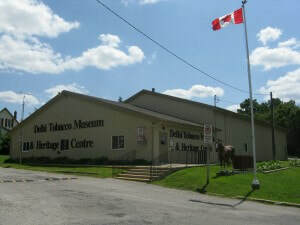 Wednesday May 8, 2019 - 11:00 a.m.
"Paul Allen, author of When Tobacco Was King, will make a return engagement April 26th at 7 pm to the Delhi Tobacco Museum to tell the story of his book as well as an in depth look of the tobacco industry’s historical and cultural impact on Southern Ontario.